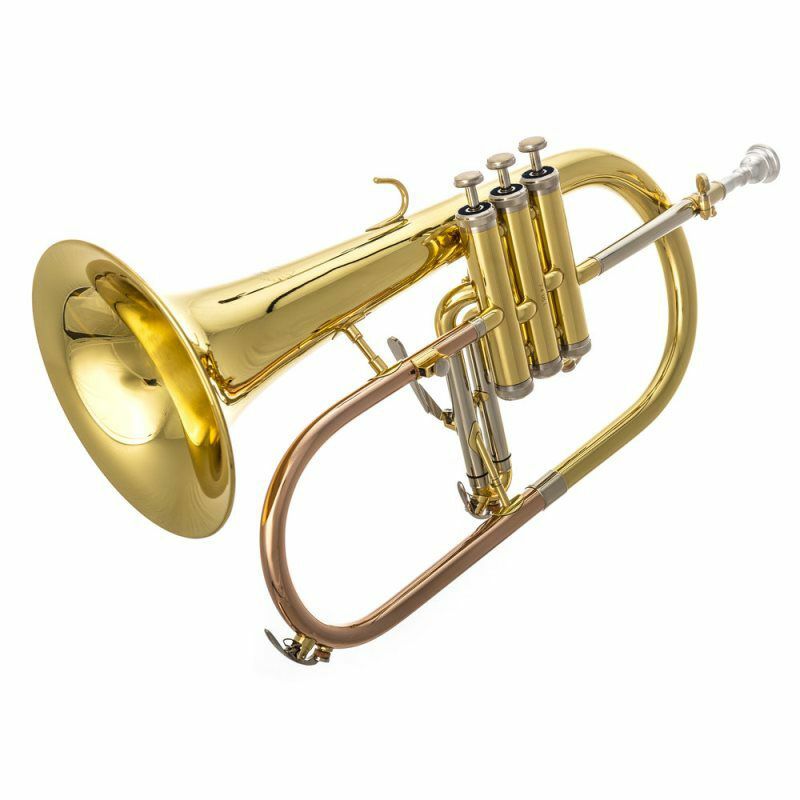 The Vintage One 1FR flugelhorn was designed to be well balanced and compatible with the player's concept of sound. It combines a responsive .413" bore and a warm resonant one-piece hand-hammered rose brass bell reinforced with a bell bow guard to produce a beautiful, warm, luscious sound. Unlike other flugelhorns, the design of the 1FR holds true intonation when playing above the staff. Professional Monel pistons provide smooth and quick action while the comfortable wood handle 3rd slide trigger allows for quick adjustments. The clear lacquer finish provides a subtle warmth to the overall sound. 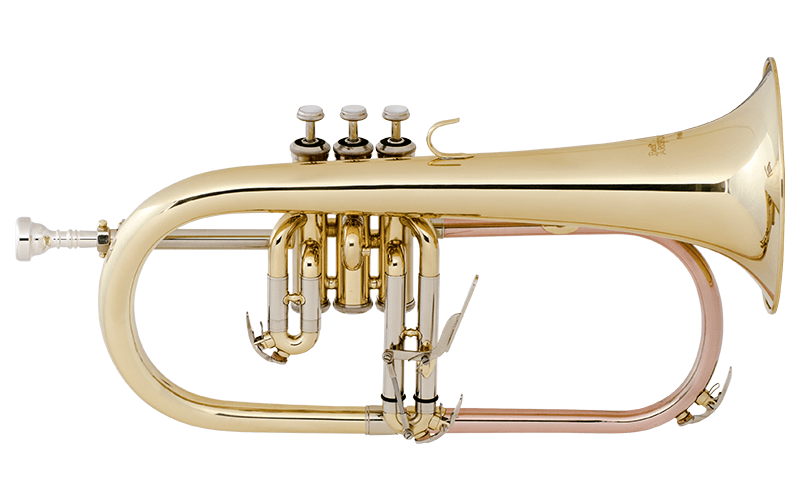 The Conn 1FR, a flugelhorn with as sound as good as it's looks. Available in silver-plate finish as model 1FRSP, gold-plate finish as model 1FRGP, and satin silver finish as model 1FRSB. The Vintage One 1FRGP flugelhorn was designed to be well balanced and compatible with the player's concept of sound. It combines a responsive .413" bore and a warm resonant one-piece hand-hammered rose brass bell reinforced with a bell bow guard to produce a beautiful, warm, luscious sound. Unlike other flugelhorns, the design of the 1FRGP holds true intonation when playing above the staff. Professional Monel pistons provide smooth and quick action while the comfortable wood handle 3rd slide trigger allows for quick adjustments. The 24K gold-plate finish provides a broad warmth to the overall sound. 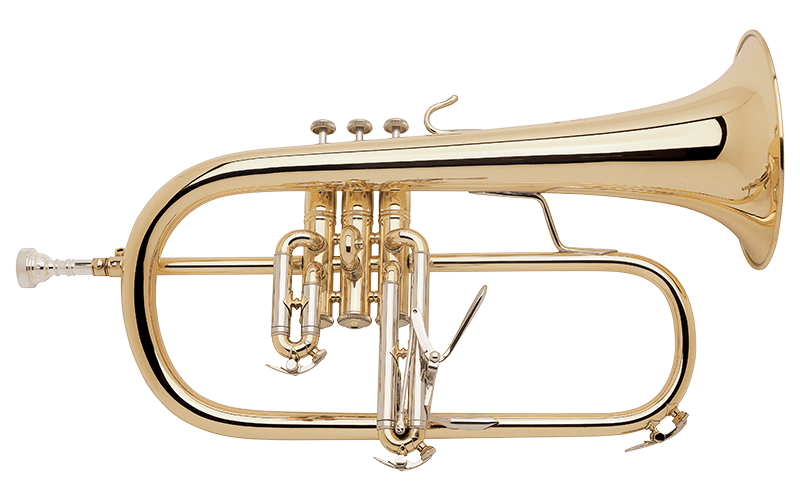 The Conn 1FRGP, a flugelhorn with as sound as good as it's looks. Please call for Availability - The 1FRGP is Made to Order. 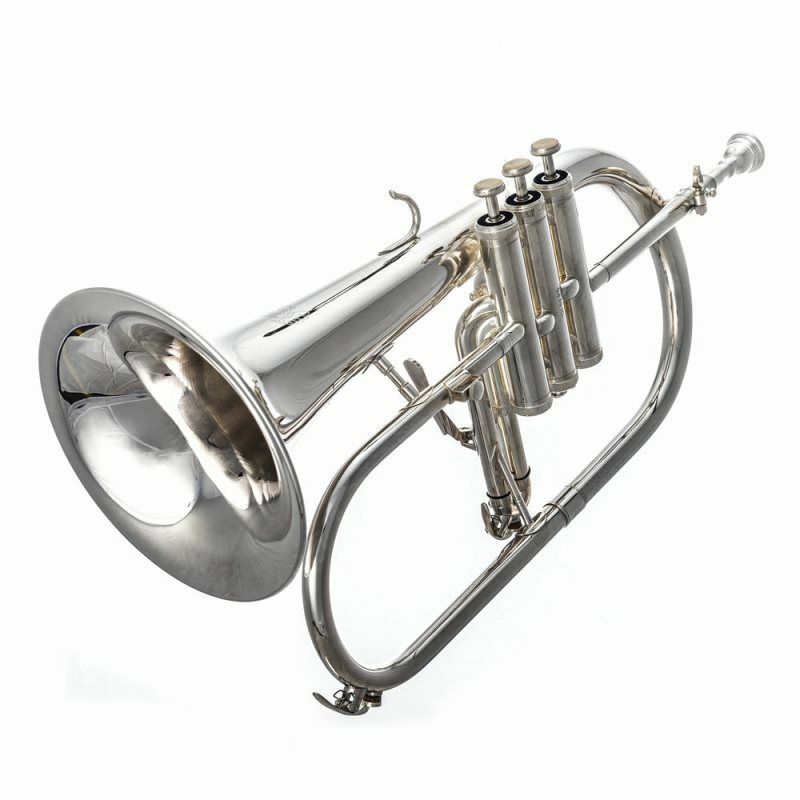 The Vintage One 1FRSP flugelhorn was designed to be well balanced and compatible with the player's concept of sound. It combines a responsive .413" bore and a warm resonant one-piece hand-hammered rose brass bell reinforced with a bell bow guard to produce a beautiful, warm, luscious sound. Unlike other flugelhorns, the design of the 1FRSP holds true intonation when playing above the staff. Professional Monel pistons provide smooth and quick action while the comfortable wood handle 3rd slide trigger allows for quick adjustments. The silver-plate finish provides a controlled brilliance to the overall sound. The Conn 1FRSP, a flugelhorn with as sound as good as it's looks. Please call for Availability, The 1FRSP is Made to Order. Since 1894 the King name has been synonymous with world-class high quality brass instruments. 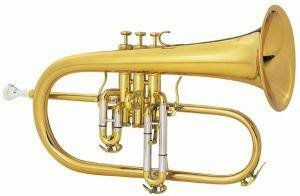 Keeping with tradition, the King 2020 flugelhorn was designed to meet the demanding needs of today's players. 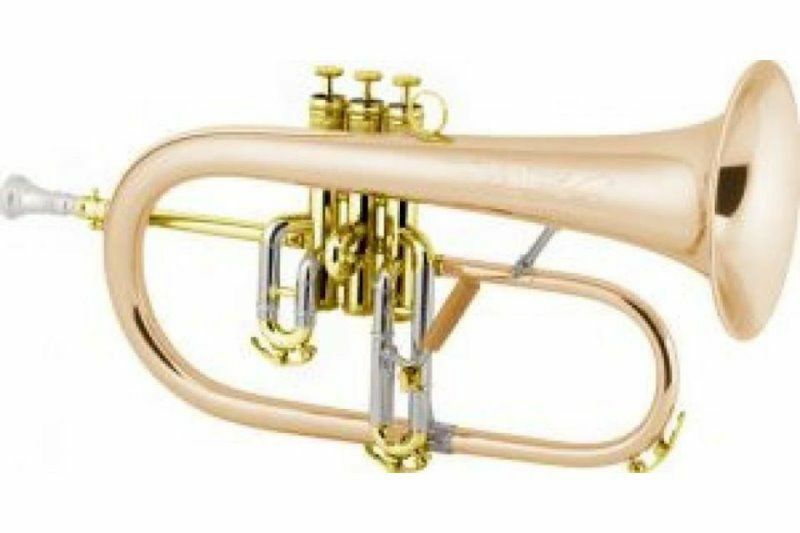 Whether playing in a traditional brass band or an intimate jazz ensemble, the 2020 is the perfect choice for all musical styles. 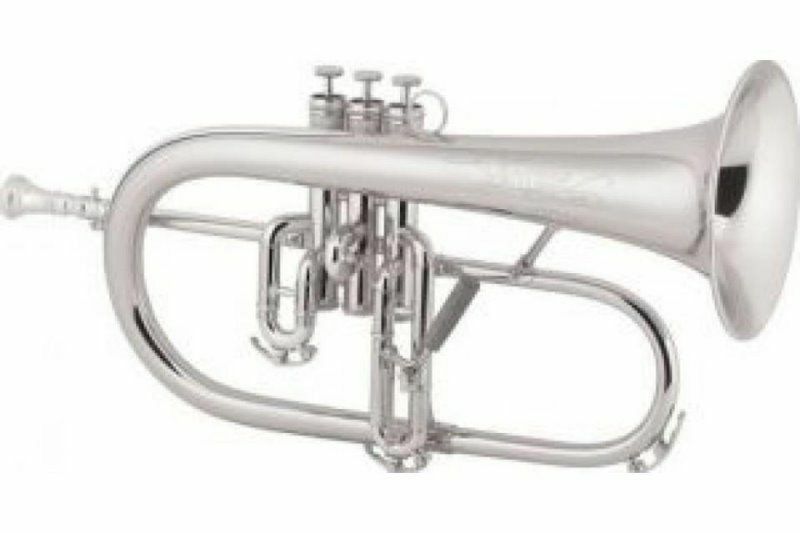 The King 2020 is a professional British-style flugelhorn with a classic flugelhorn sound. The .413" bore promotes an ease of response and a open feel. The one-piece hand-hammered professional rose brass bell and first branch produces a warm sound with ample projection. The rose professional Monel piston material provides smooth and quick valve action. 1st and 3rd valve slide triggers permit quick tuning adjustment. The clear lacquer finish provides a subtle warmth to the overall sound. The 2020 flugelhorn is a well rounded instrument at home in multiple musical settings. Please inquire for availability, the King 2020 is mad to order. Please note, this is a special order item. Please call for availability.